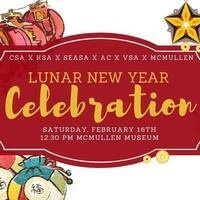 To highlight the Lunar New Year, the McMullen Museum is teaming up with the Boston College Chinese Student Association (CSA), the Korean Student Association (KSA), the South East Student Association (SEASA), Vietnamese Student Association (VSA), and the Asian Caucus (AC) to present a series of arts and crafts, New Year’s food from various countries, and a Lion Dance. All ages are welcome. There will be opportunities to play games, learn about Lunar New Year traditions and make paper lanterns, paper cuttings, paroles, Chinese knots and decorative New Year's envelopes.